Mike Pence is the 48th Vice President of the United States of America, serving under President Donald Trump. He was born on June 7, 1959 in Columbus, IN to parents Edward and Nancy Pence and was raised as one of six children. Pence graduated from Hanover College with a bachelor’s degree in history in 1981. 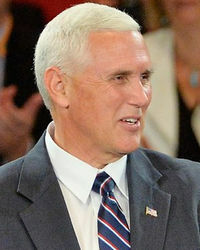 After earning his law degree at Indiana University School of Law, he practiced law, led the Indiana Policy Review Foundation, and hosted a syndicated radio talk show and weekly TV public affairs program called “The Mike Pence Show.” In 2000, Pence won a local congressional seat and went on to get elected six times to represent the East-Central Indiana constituents in Congress. He eventually became the Chairman of the House Republican Study Committee and House Republican Conference Chairman. Pence was elected Governor of Indiana in 2013, where he cut taxes and lowered unemployment rate. He also invested in schools and infrastructure improvements. 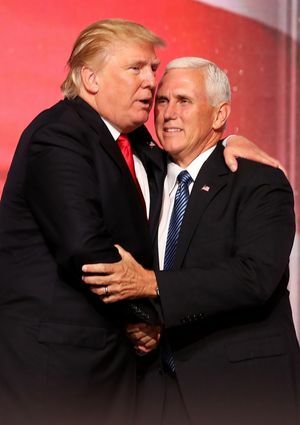 President Trump announced Pence as his running mate in July 2016. The ticket won the election on November 8, 2016 and Pence was sworn into office on January 20, 2017. Pence is committed to his Christian faith. 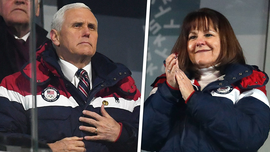 He is married to Second Lady Karen Pence. The couple has three children – Michael, Charlotte, and Audrey. You Give Christians a Bad Name ... Shame on Your Wife Too!!! Staying Away from Trump & Mueller For Good Reason, Says NY Rep.
Omarosa Says Pence Is Scarier That Trump!